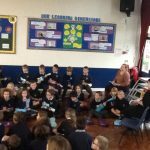 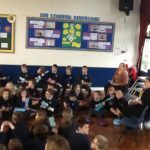 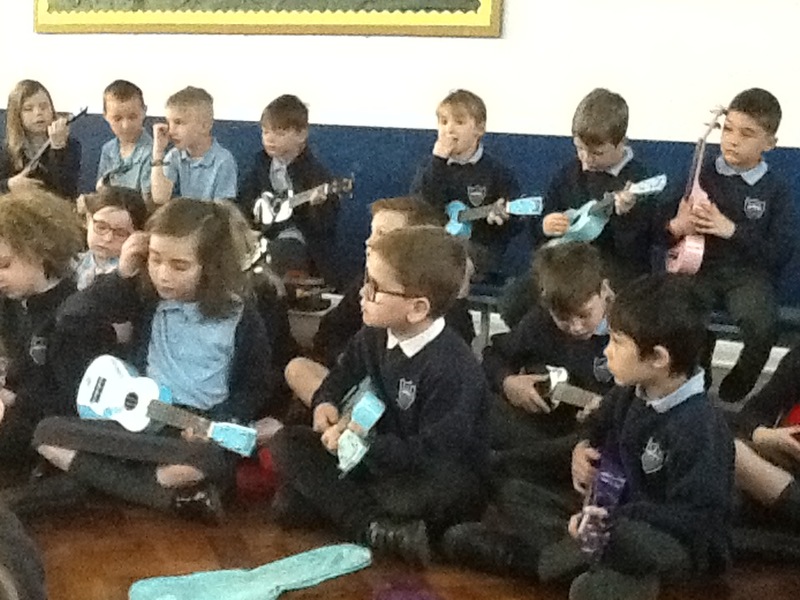 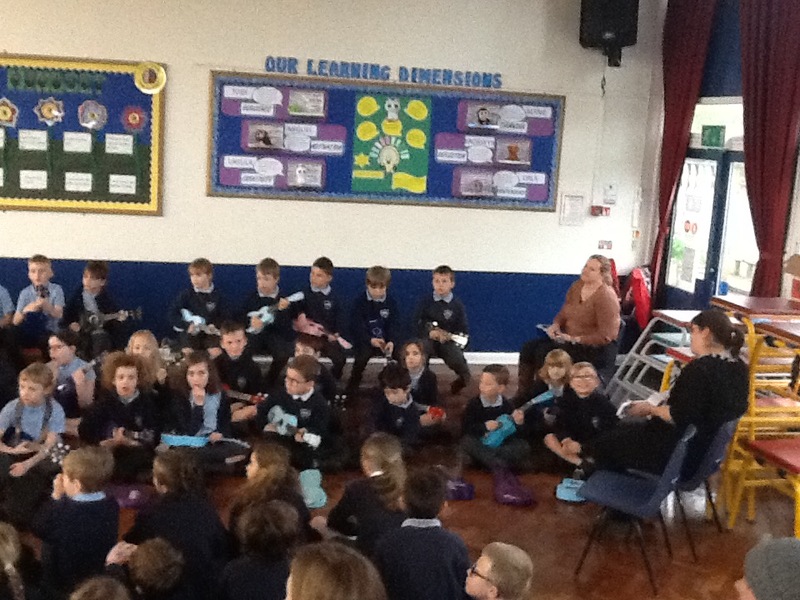 After a term of practising the ukulele, Year 3 did a fantastic performance this week in front of their parents and Year 4. 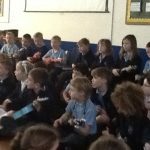 They sang a total of 5 songs, which included Yellow Submarine and Mamma Mia using various chords. 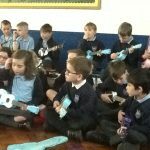 They’ve come a long way since February and with only 5 lessons too! 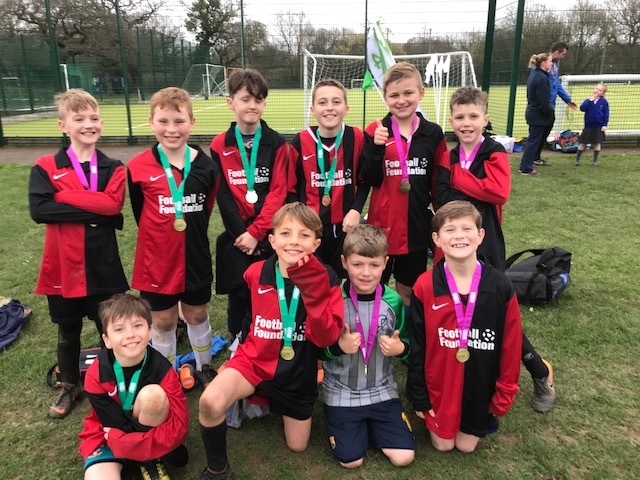 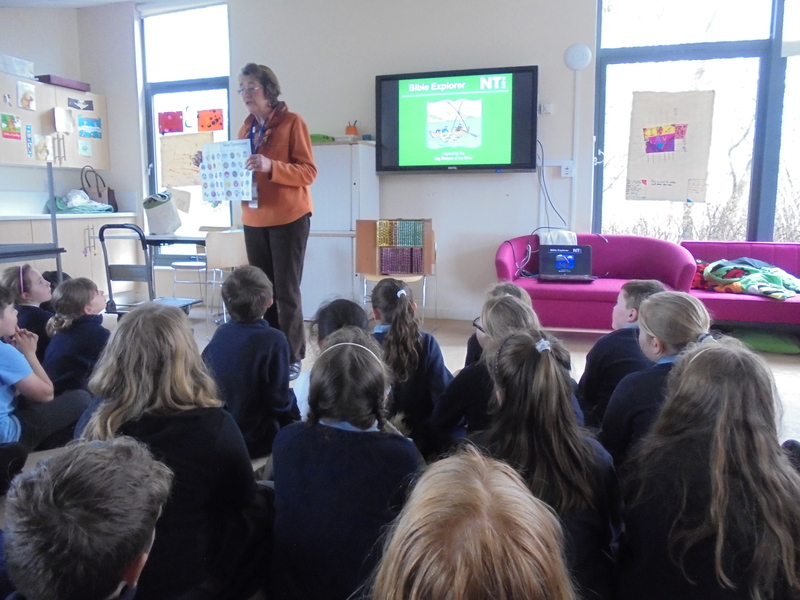 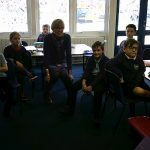 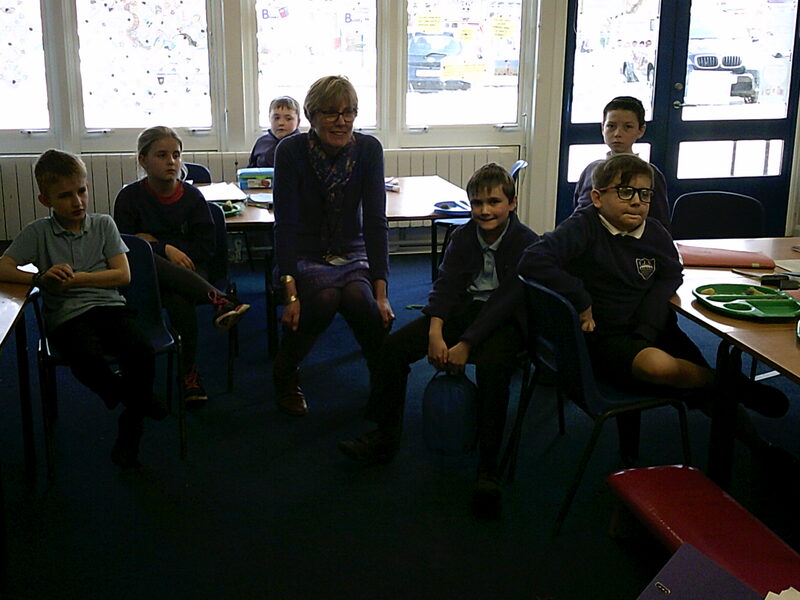 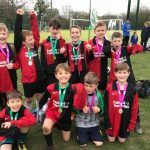 On Thursday 21st March 2019 Ms Mays picked a Year 5 football team (along with two Year 6) and they were Hector, Cody, Harry G, Sid, Freddie, Noah D, Marley, James, Aden, Ethan and Timmy. 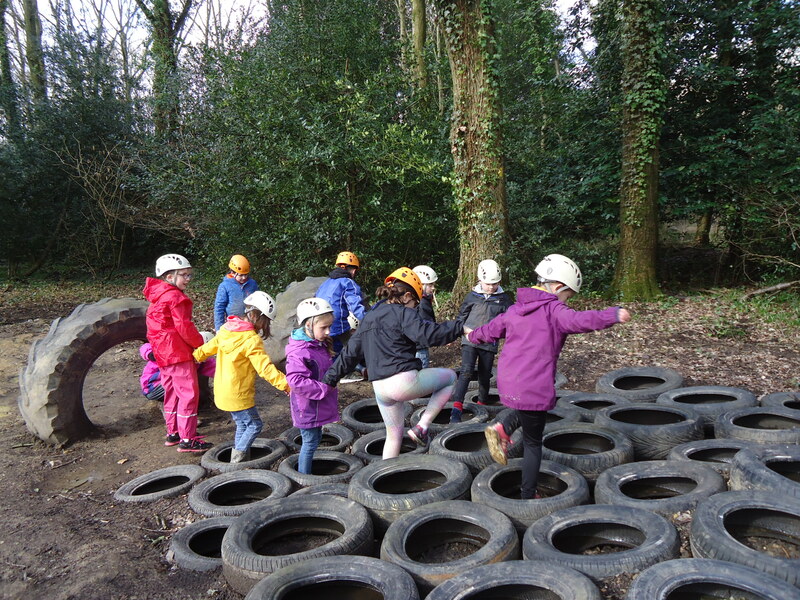 They successfully got a gold medal. 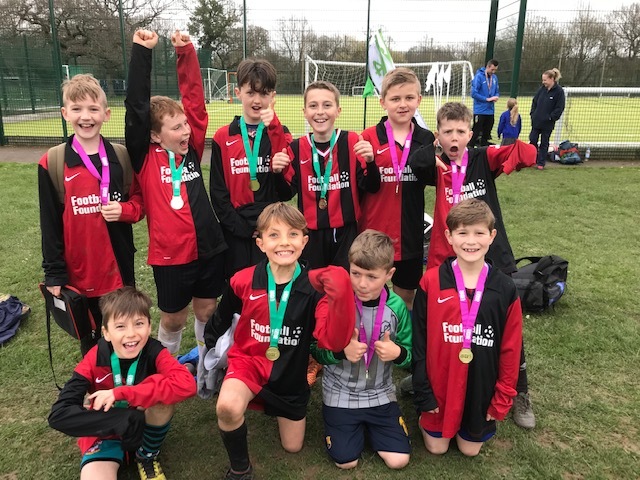 They lost the initial league but then they came back with a victory in the lower tier. 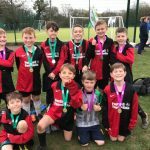 In the final they won 2-0 with Hector scoring the first and Harry G the second against Ringwood B. 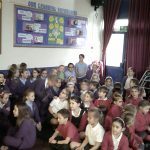 At the presentation they proudly walked up to receive their prize. 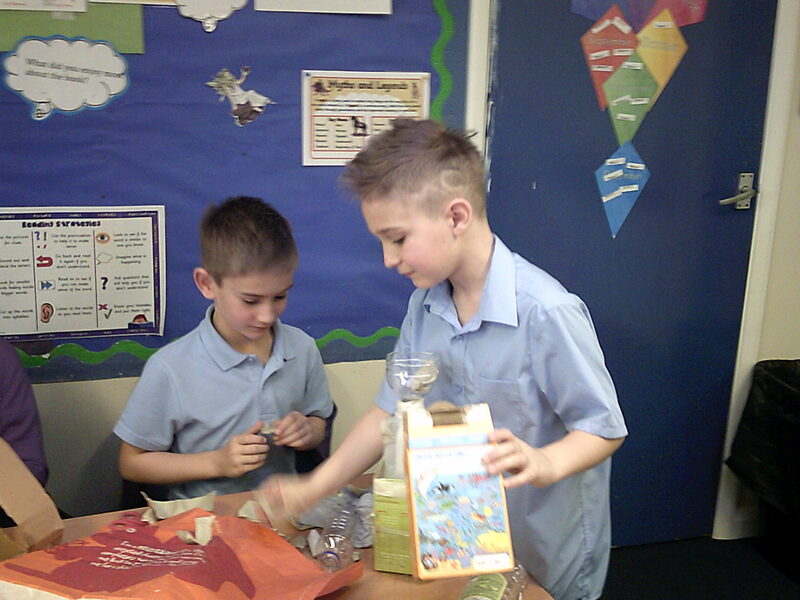 Then they went home to show their carers their success! 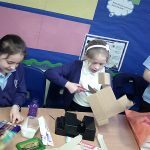 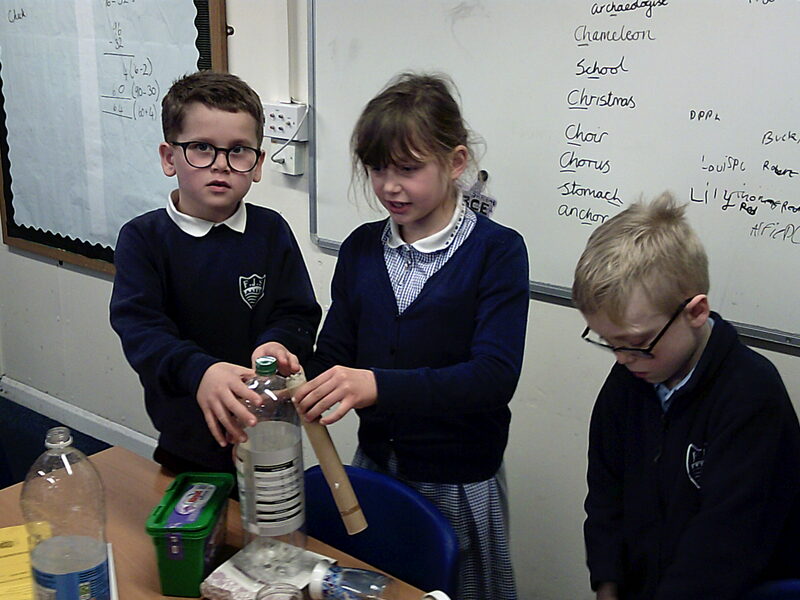 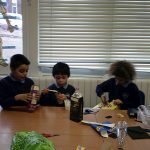 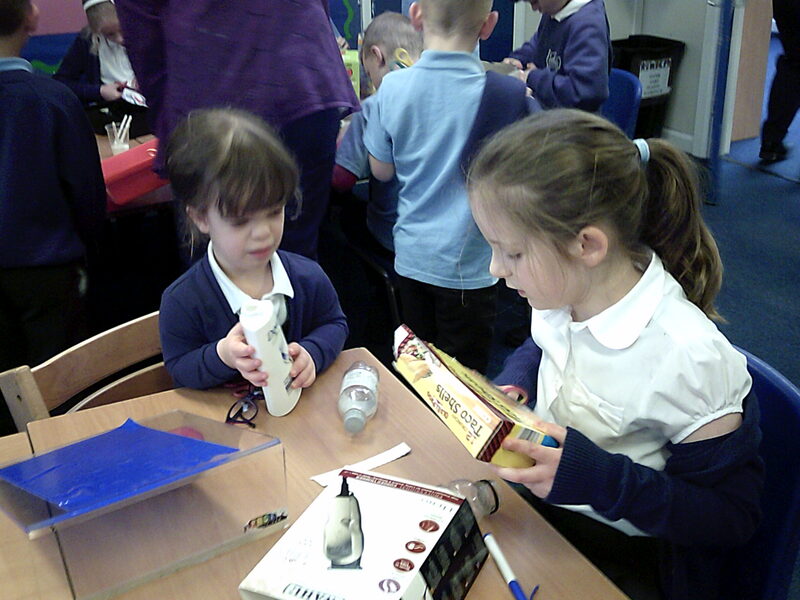 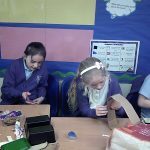 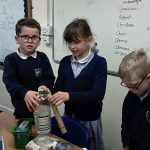 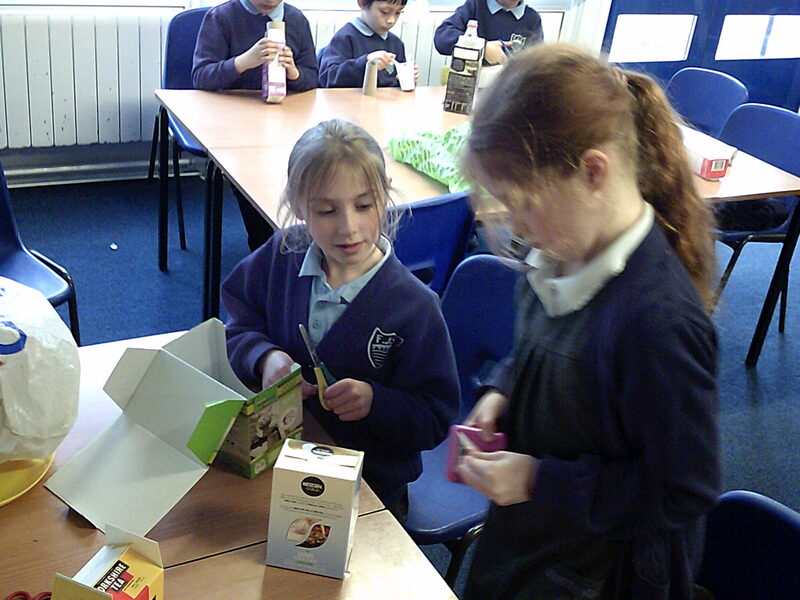 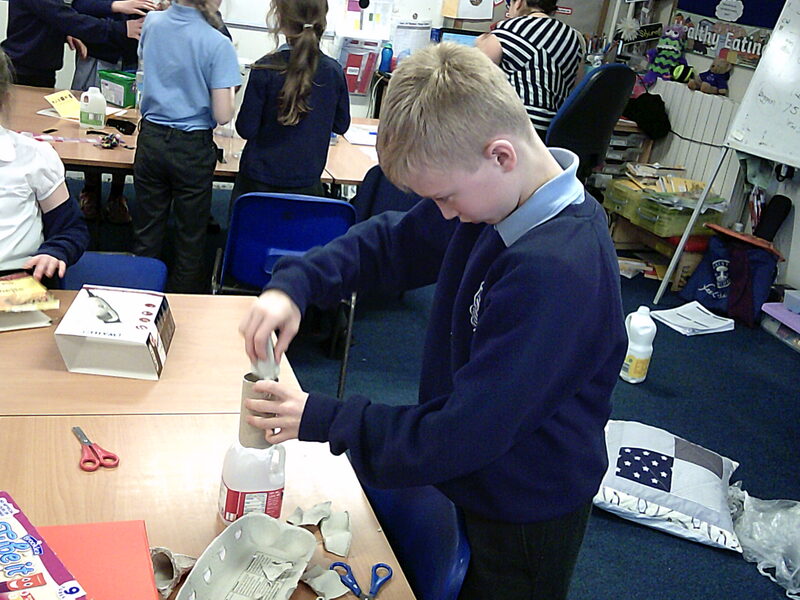 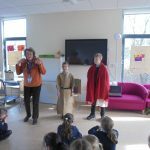 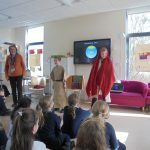 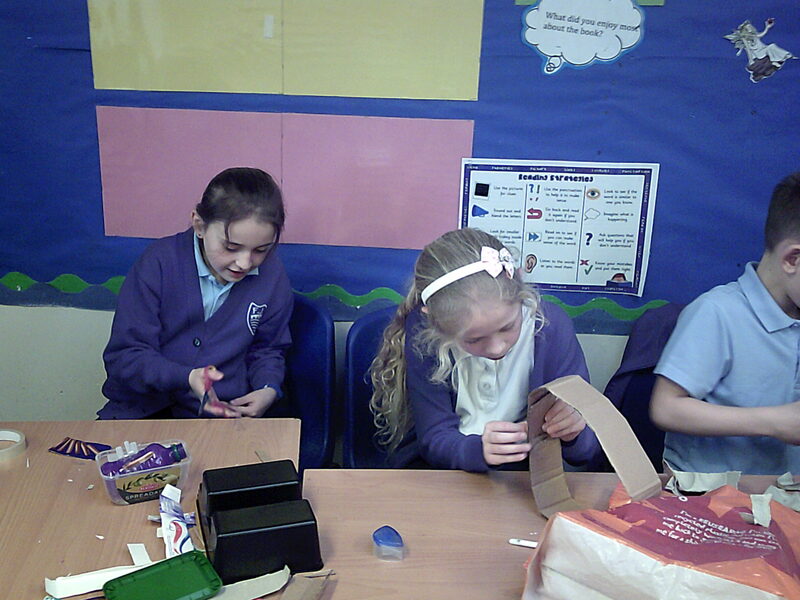 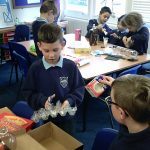 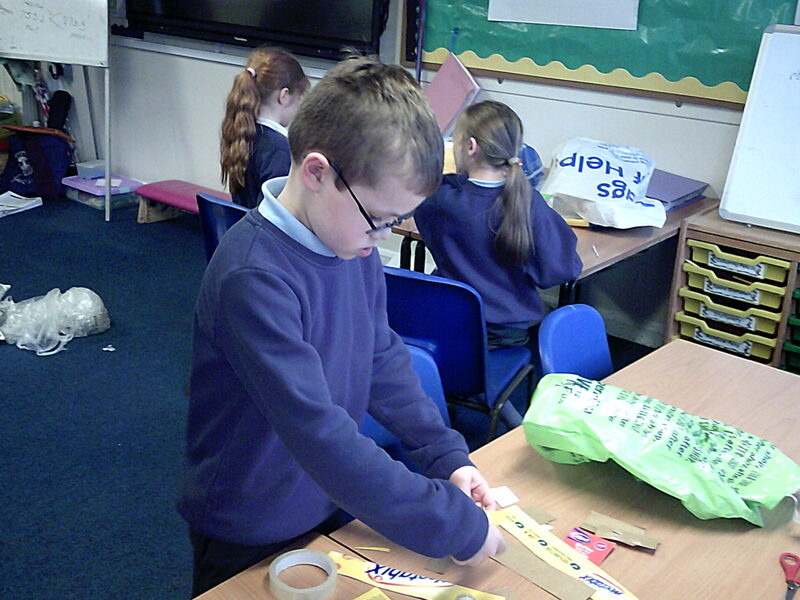 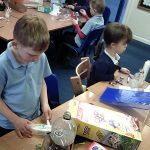 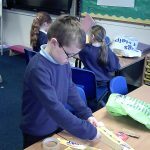 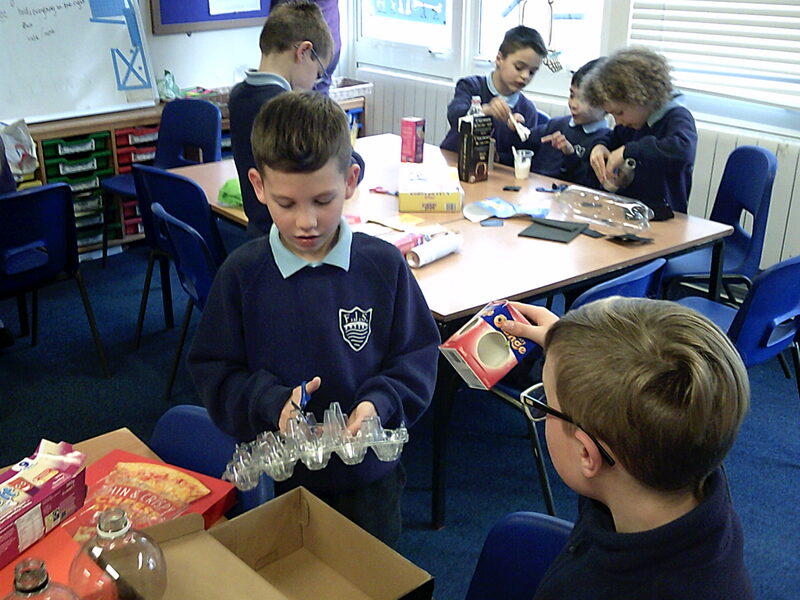 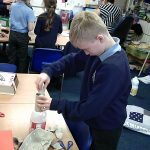 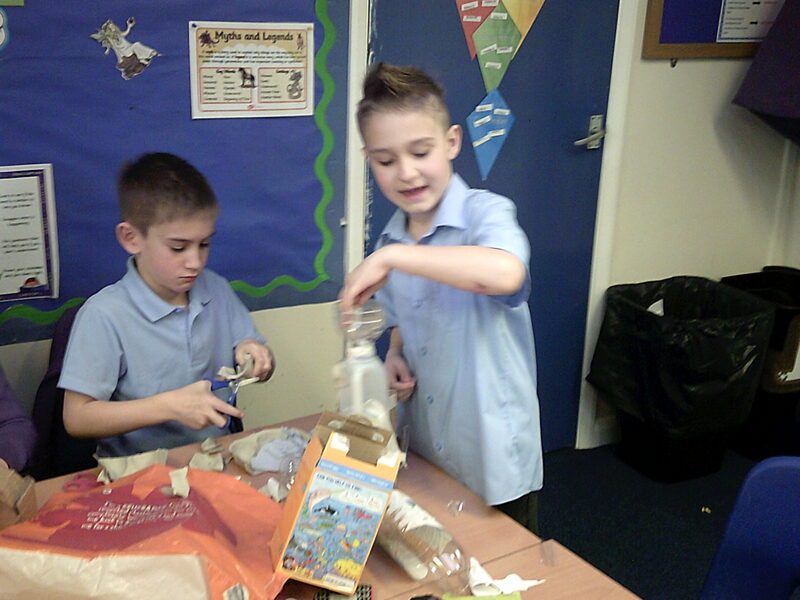 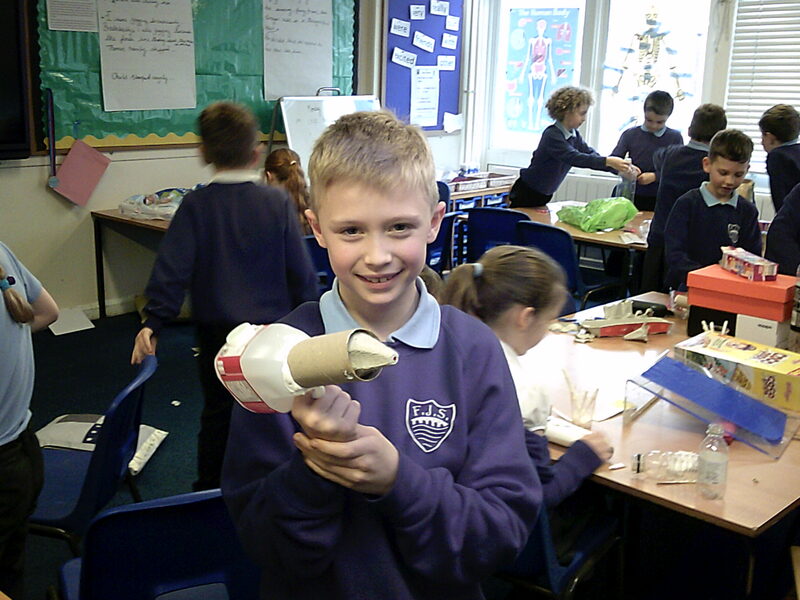 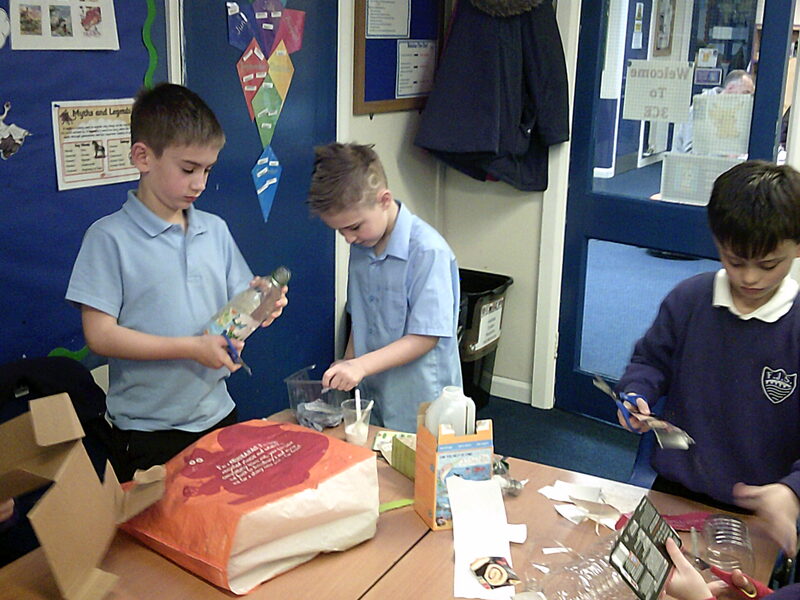 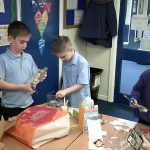 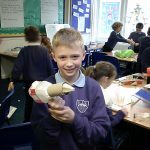 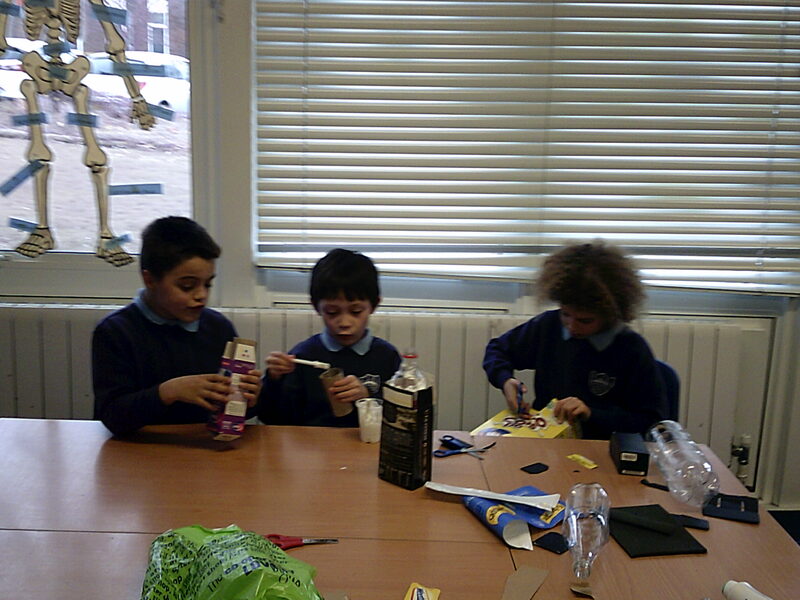 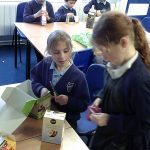 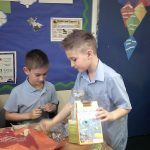 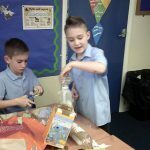 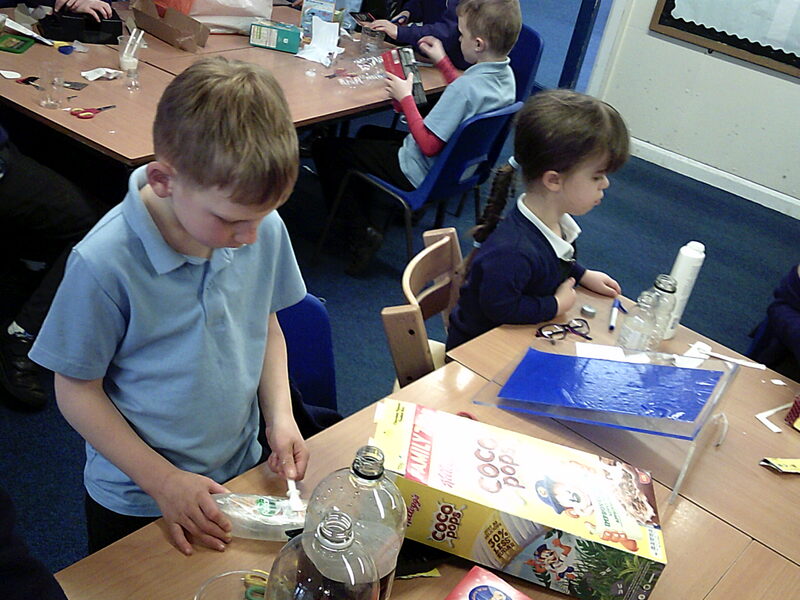 In Year 3 we enjoyed making our magical objects that will help defeat our mythical creatures. 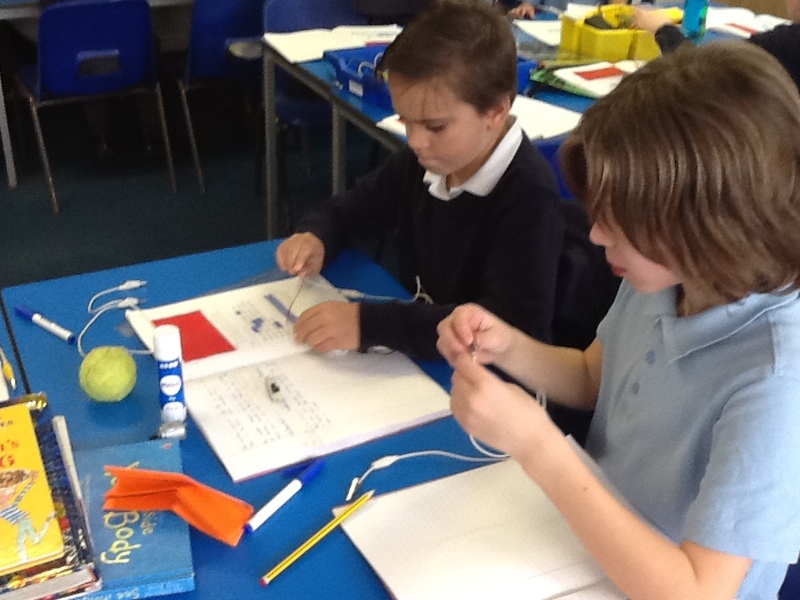 We will be using these to write instructions in English. 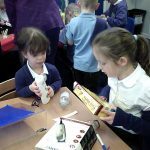 Mrs Ovenden and Mrs Robertson joined us at school council this week and we were able to share ideas for how we would like to improve our school. 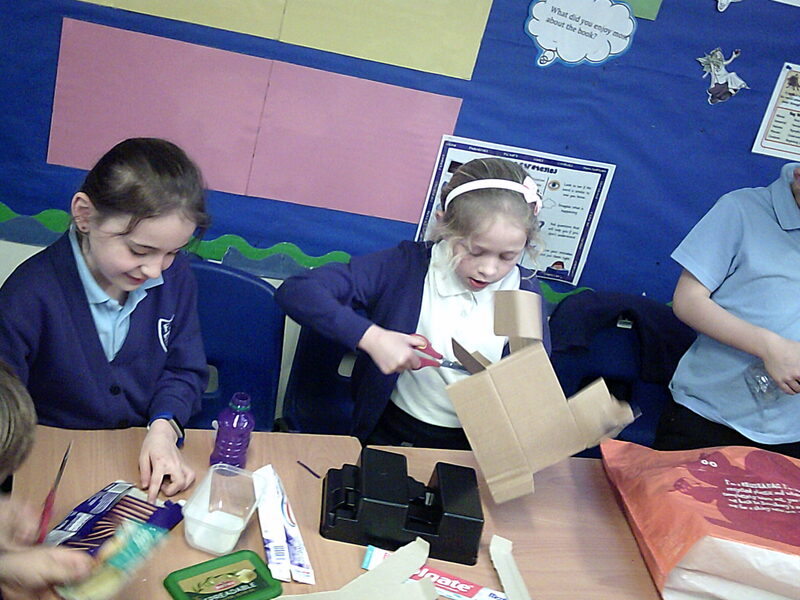 We are focusing on football and litter bins. 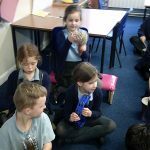 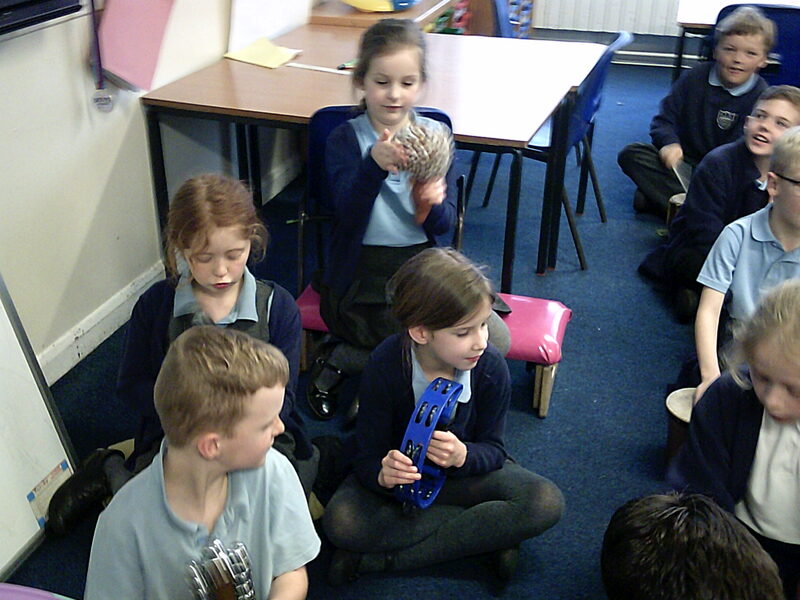 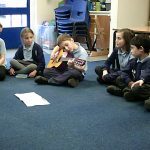 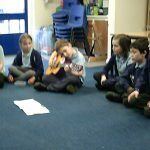 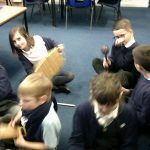 This week we enjoyed using instruments to play along to our Food Groups Rock Song. 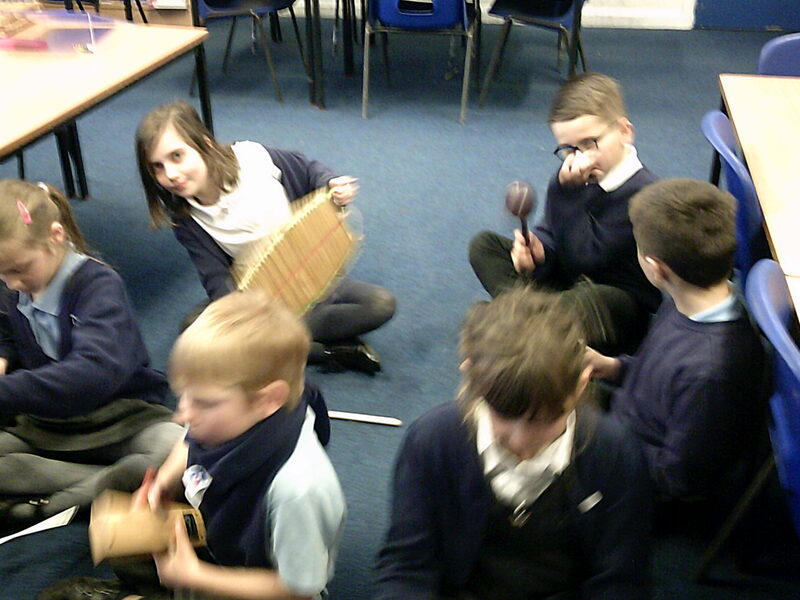 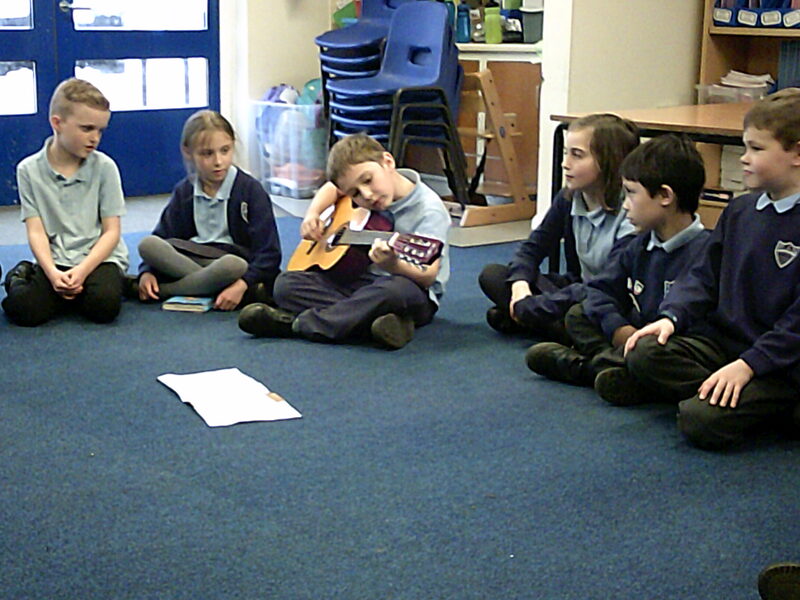 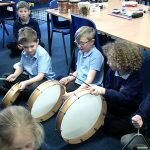 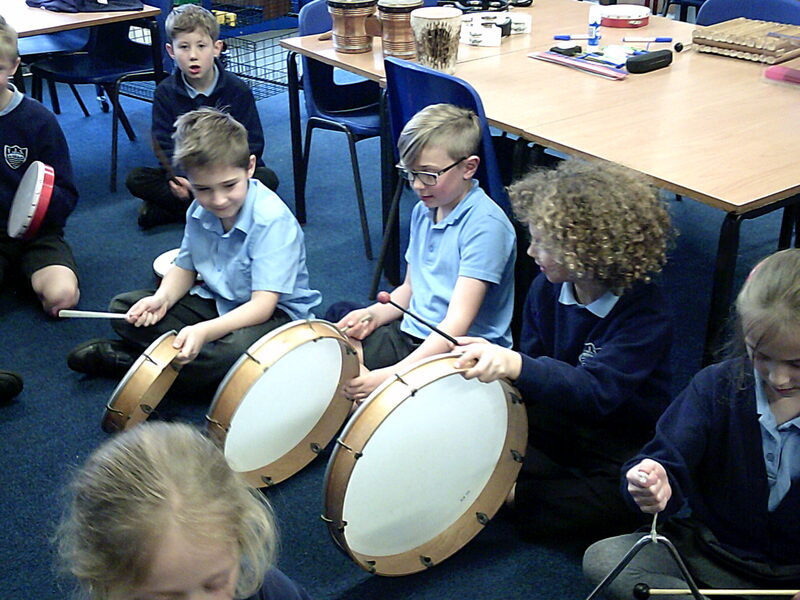 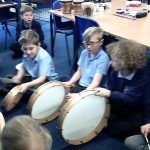 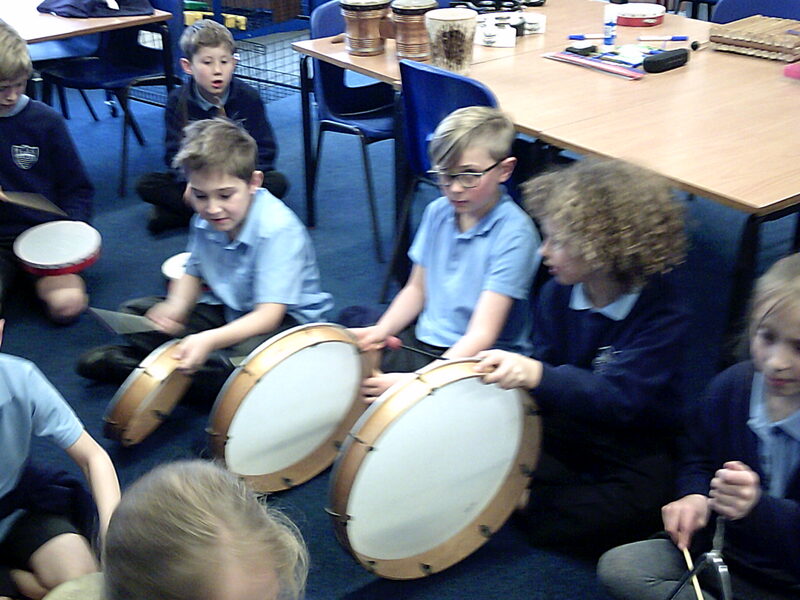 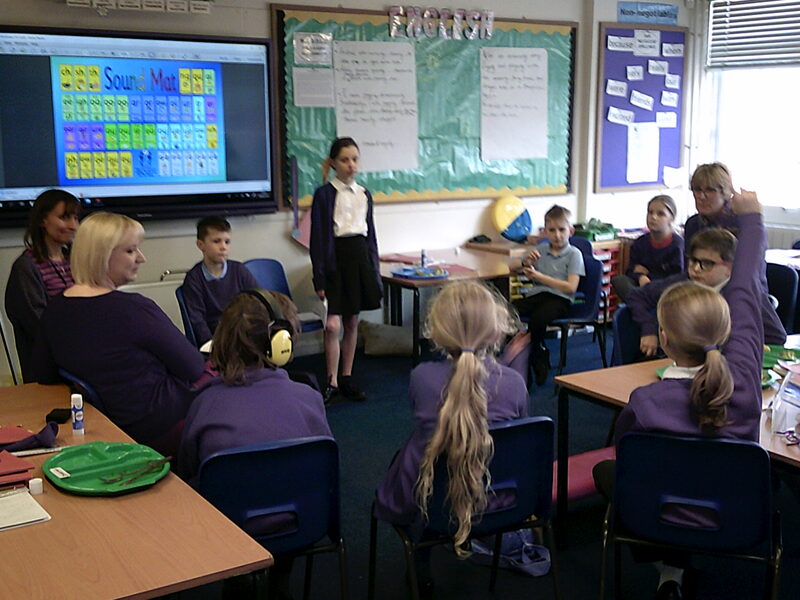 We were able to play along to a rhythm and are going to work on the ‘adlib’ part of the song next week. 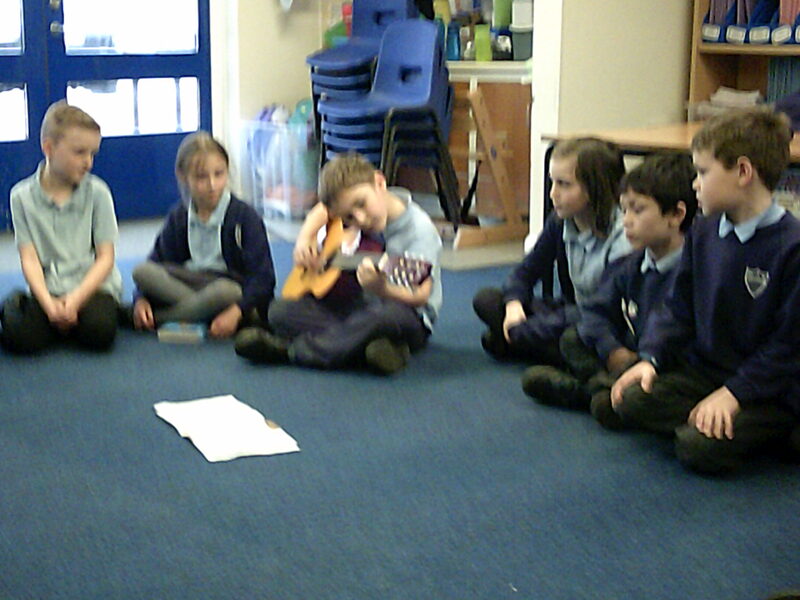 We were very lucky in Year 3 when Oscar bought his guitar and played Shotgun for us. 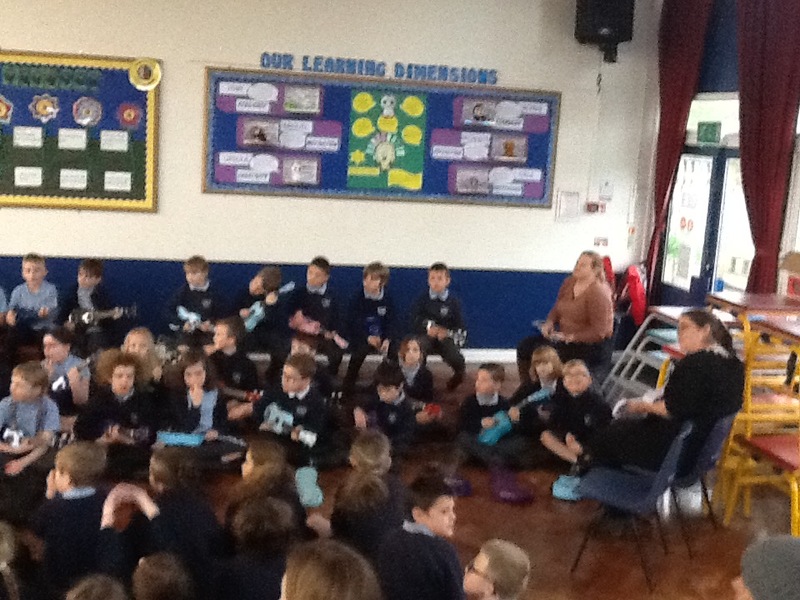 It was great to listen to and we all enjoyed a lovely sing-a-long. 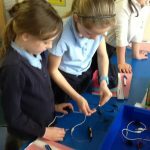 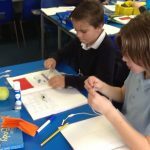 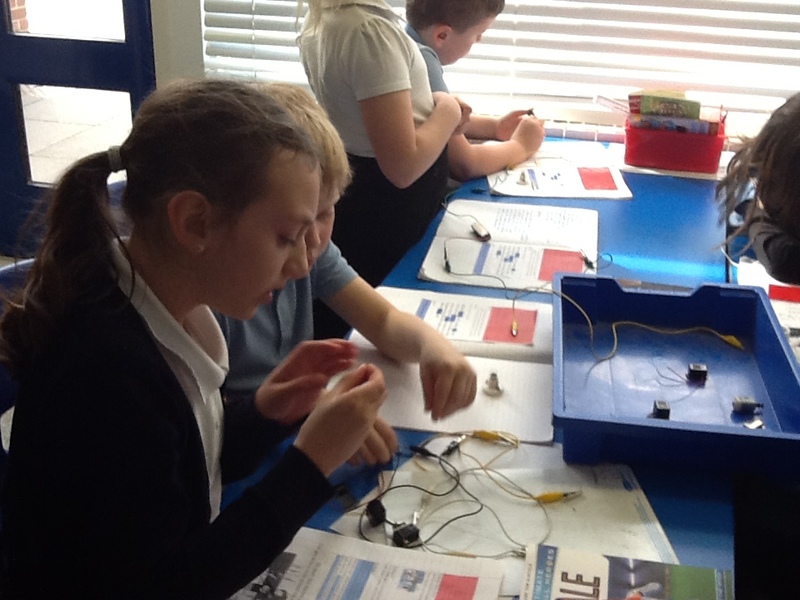 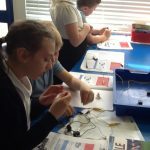 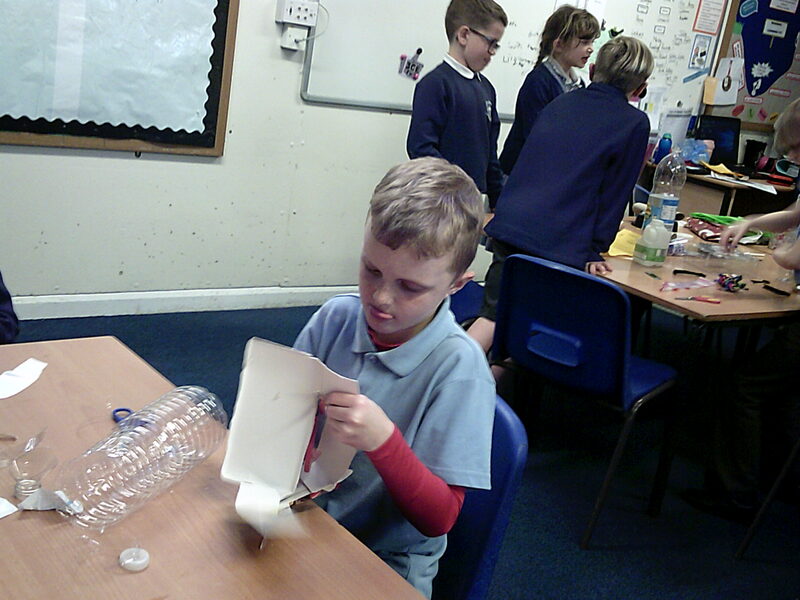 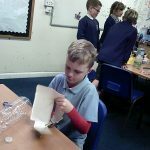 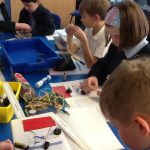 This week Year 4 have been making electrical circuits. 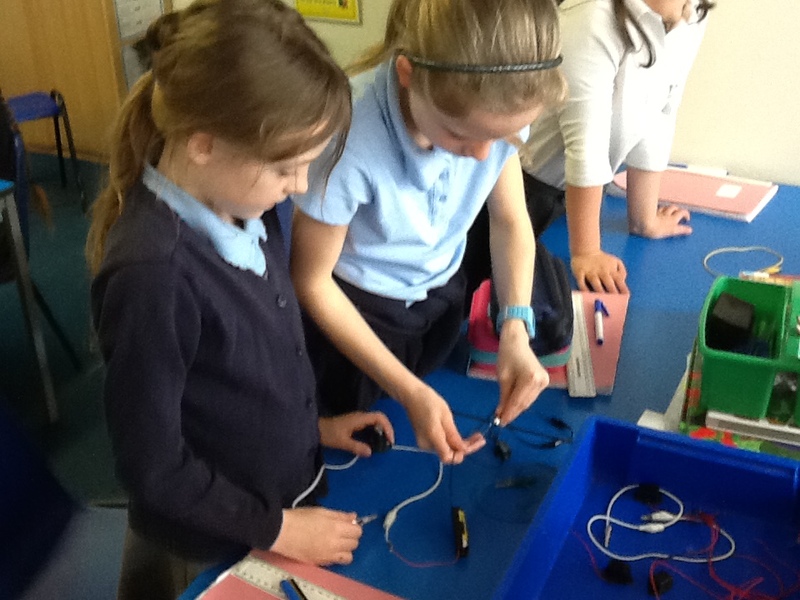 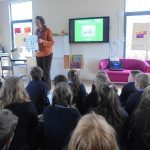 We have been learning that electricity needs a continuous loop for the circuit and that batteries must be the correct way around in the battery holder in order for the bulb to light up. 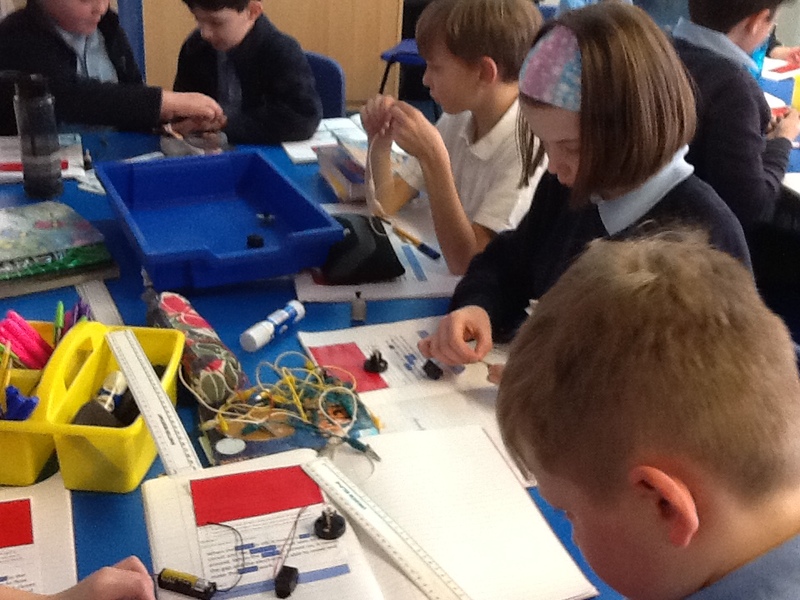 It has been a testing time as we used our problem solving skills to work out why circuits were, at times, not working. 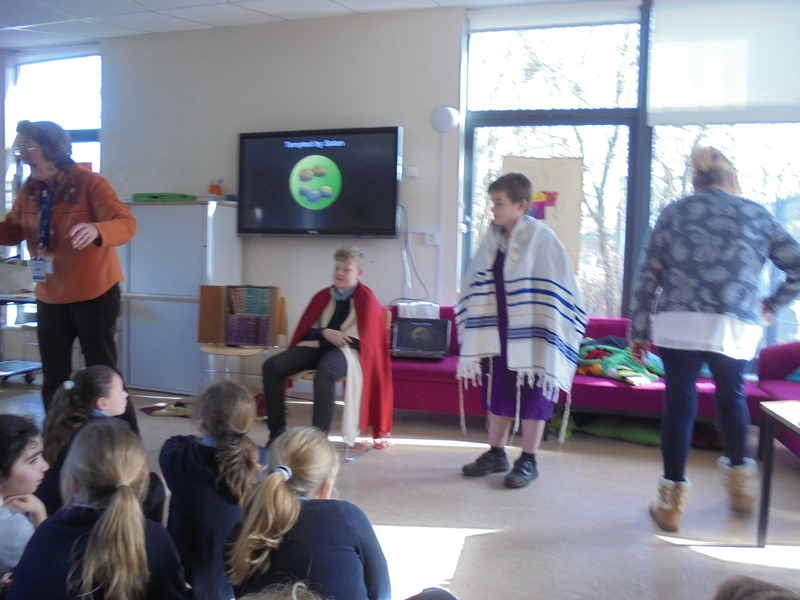 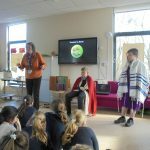 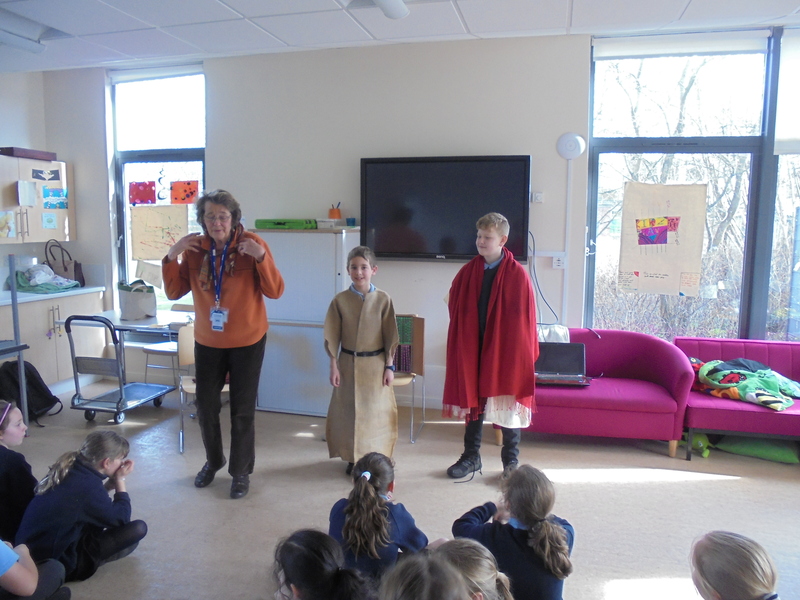 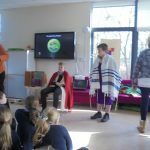 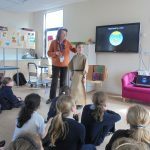 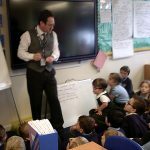 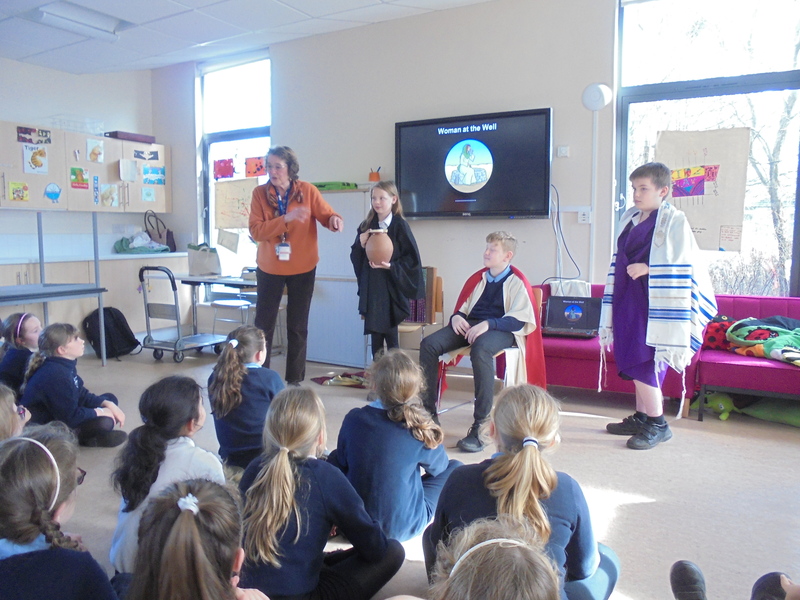 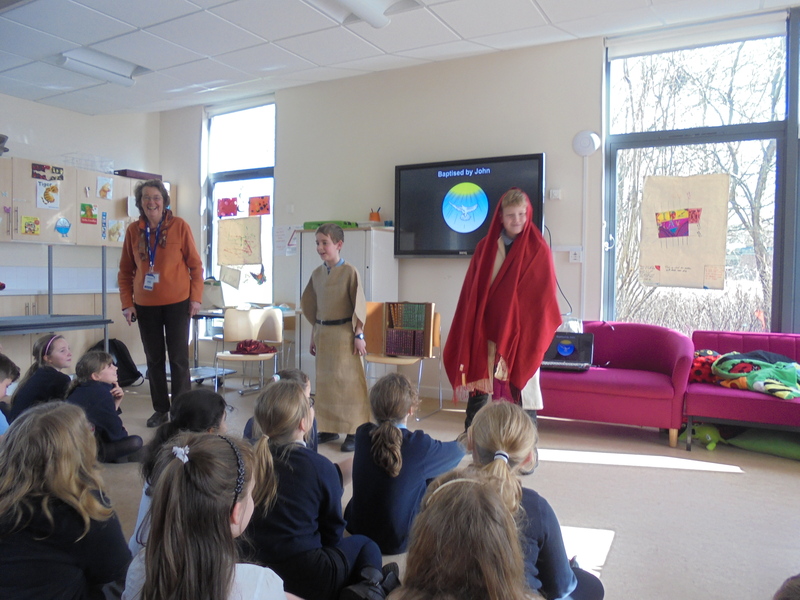 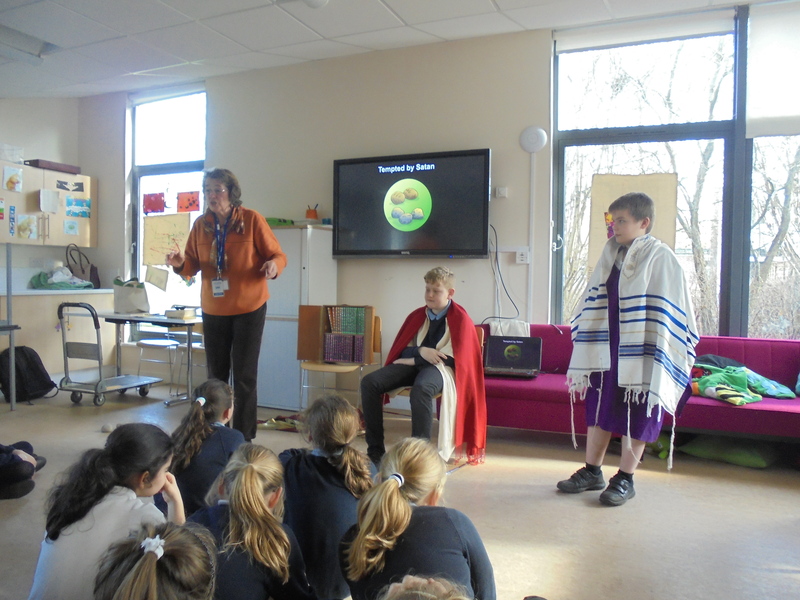 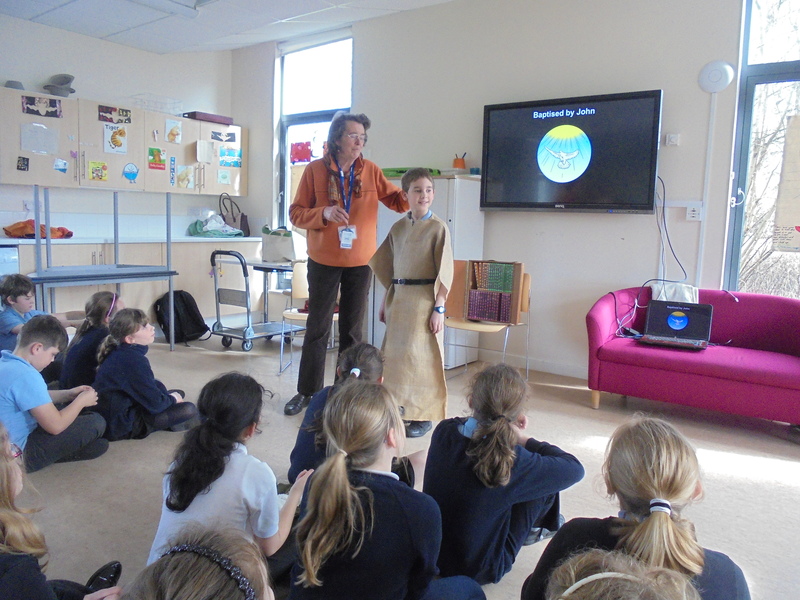 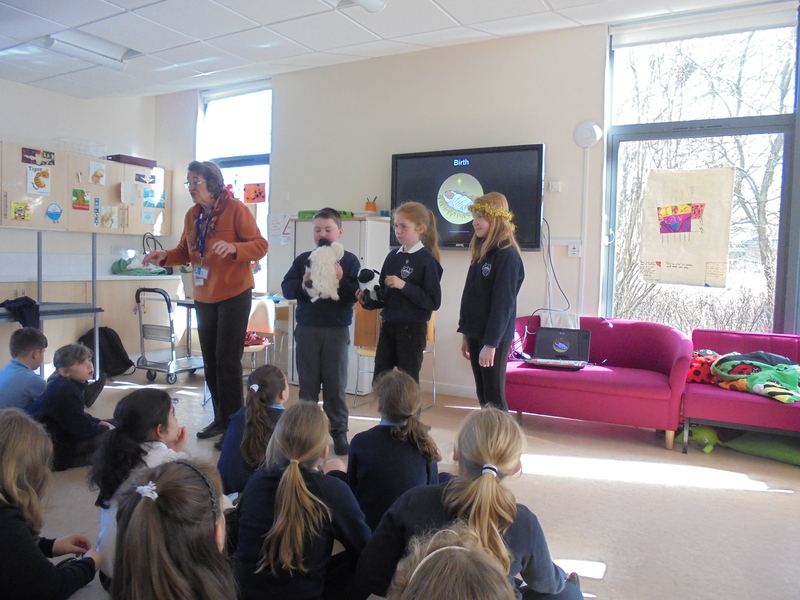 Year 5 were learning about people’s opinions of Jesus as he emerged as a leader. 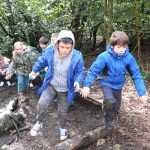 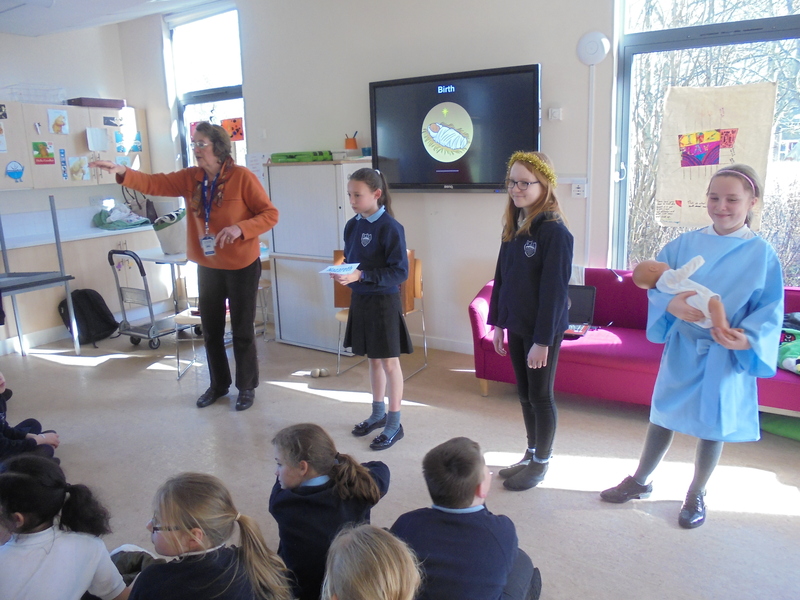 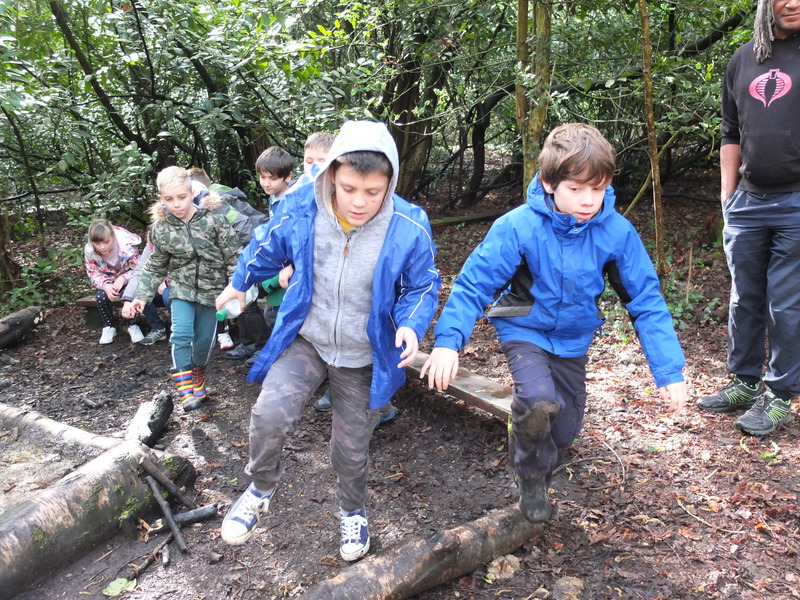 As you can see from the pictures, Year 4 children and staff have all had an exciting but challenging time at Fairthorne Manor. 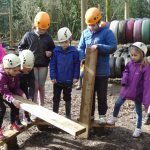 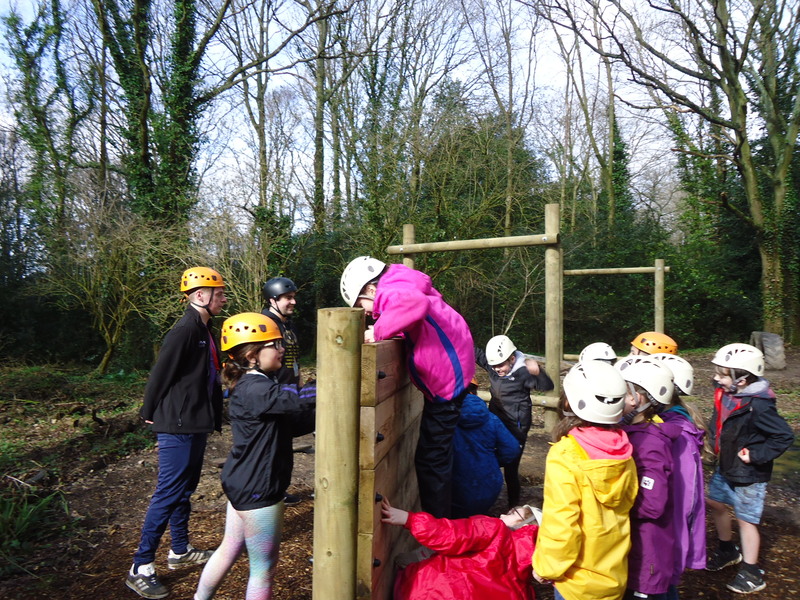 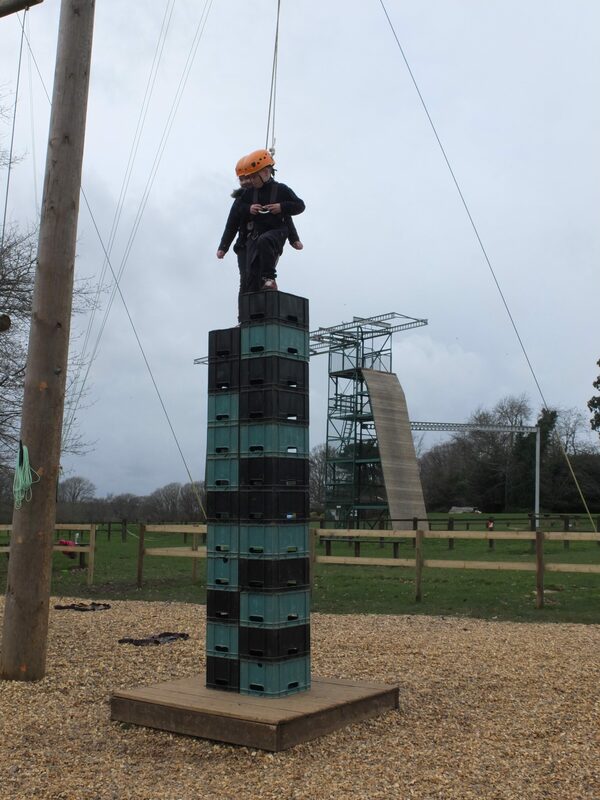 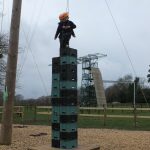 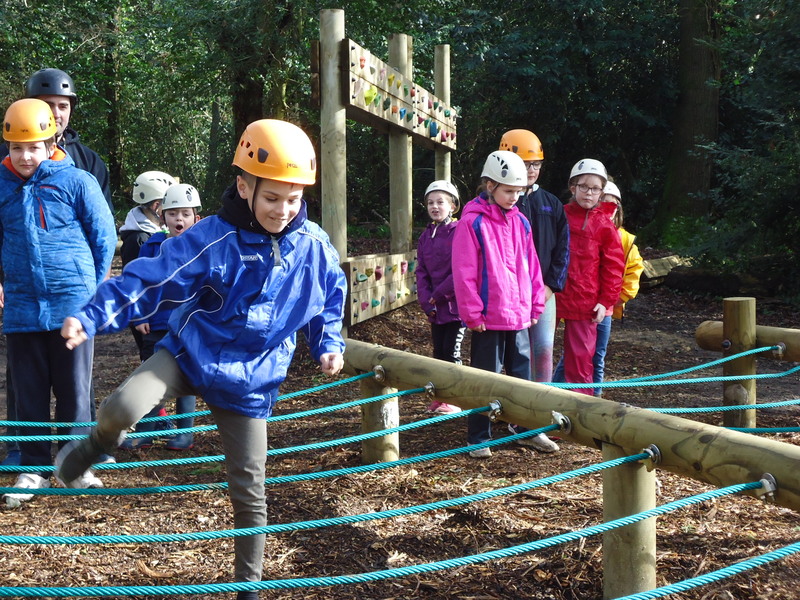 We have had highs and lows, crawling under ‘electric wires’ in the cloggy clay at the Team Challenge and seeing who could build the tallest crate tower without it toppling and being left dangling in the air. 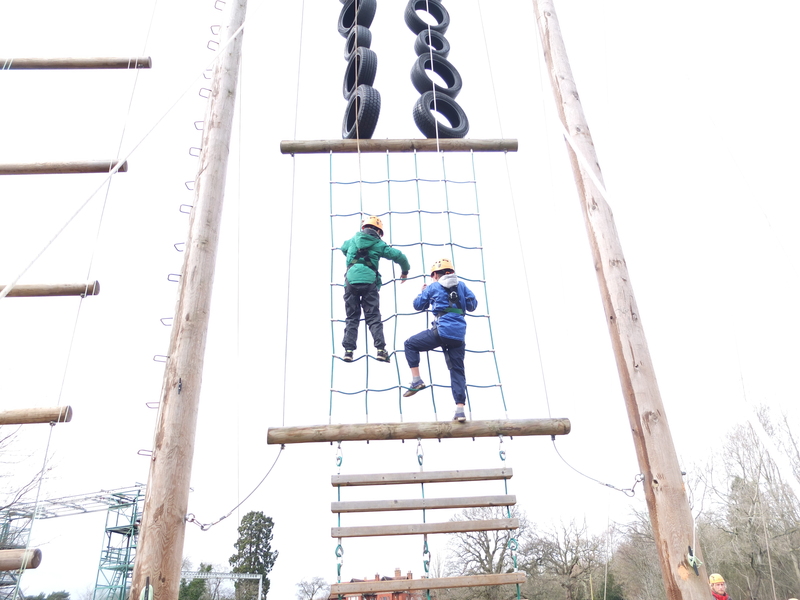 Many children faced their fears, climbing the vertical assault, reaching new levels on every turn and often asking to have another go and beat their last attempt. 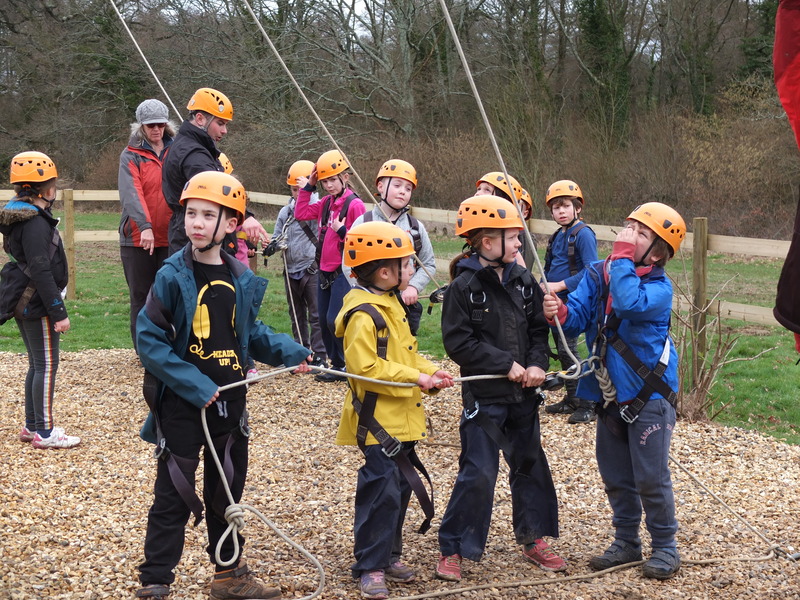 They also loved the Aerial Runway, a zip wire that took them over a tributary of the River Hamble. 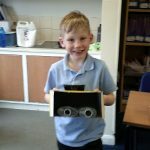 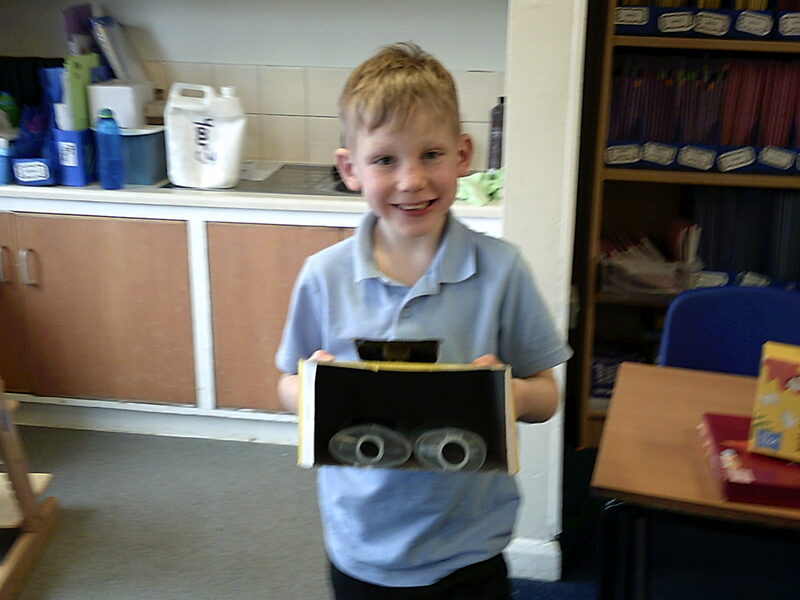 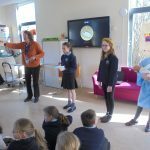 In the evening, we were led on a night walk by our lead instructor Cam, we tested out night vision and learnt a little more about why pirates wore eye patches – please ask your child about this and I am sure they will demonstrate. 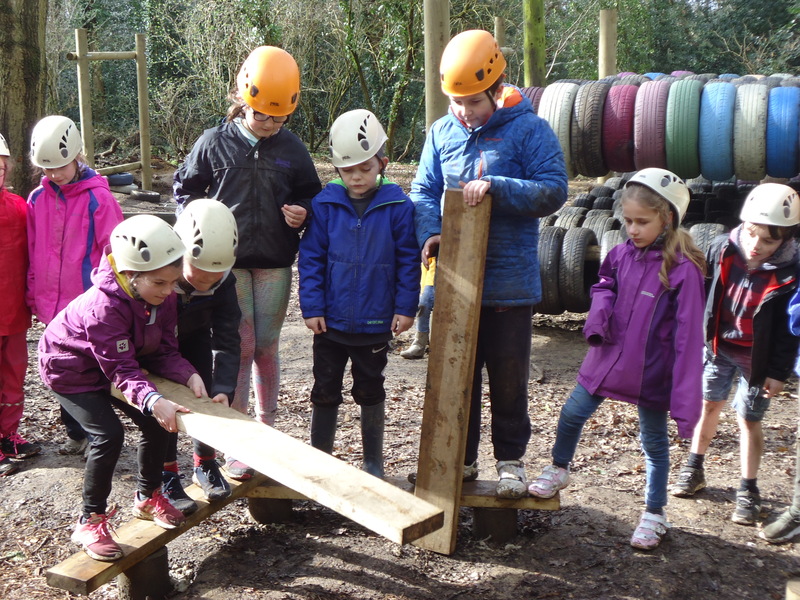 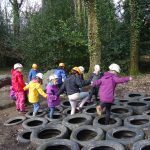 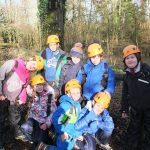 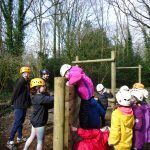 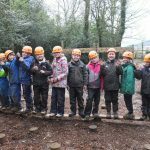 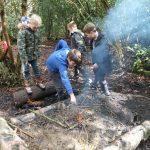 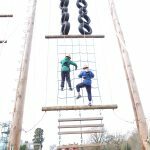 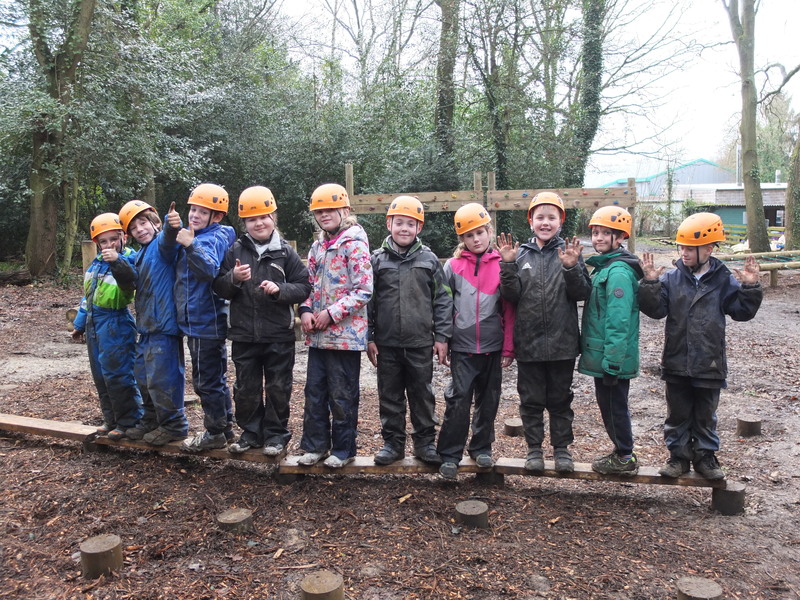 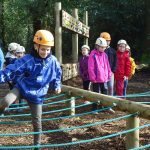 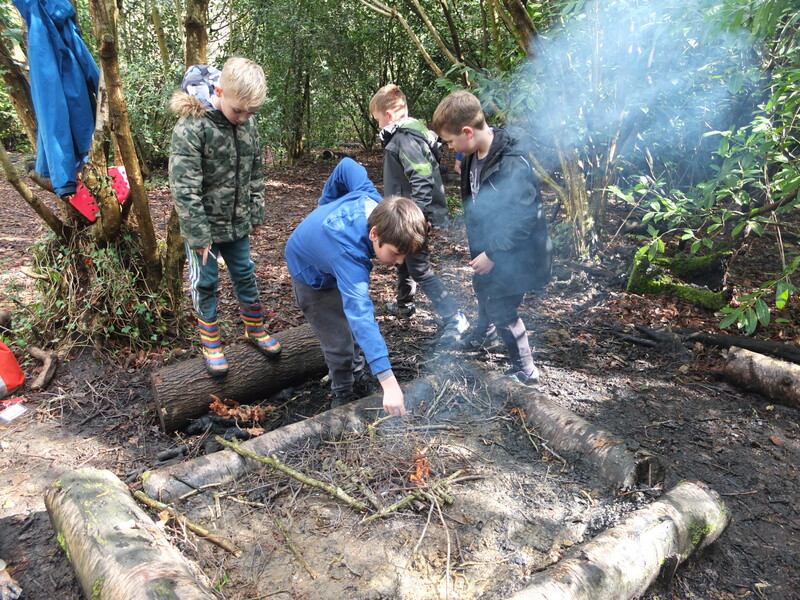 Over the two days, YMCA and Fordingbridge staff were incredibly impressed by the behaviour of all children on the trip and their enthusiasm to tackle all of the activities. 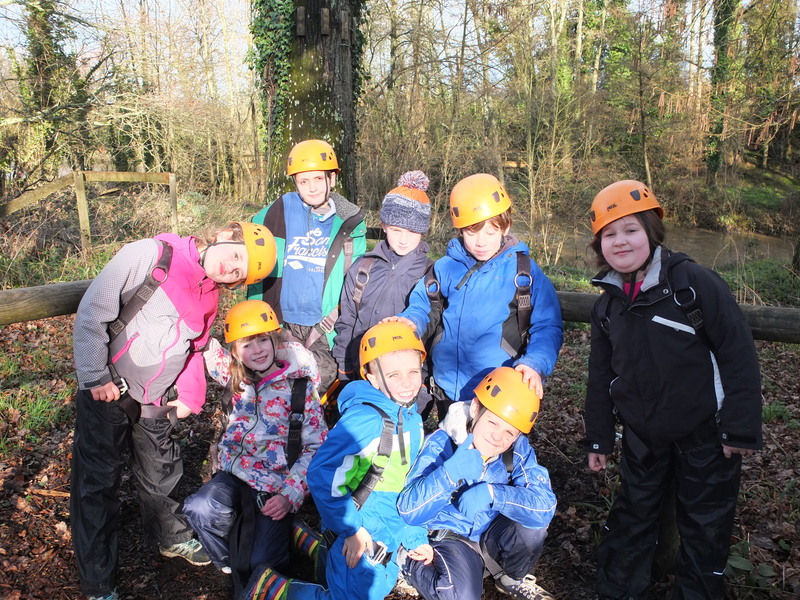 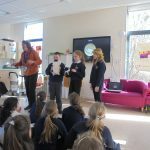 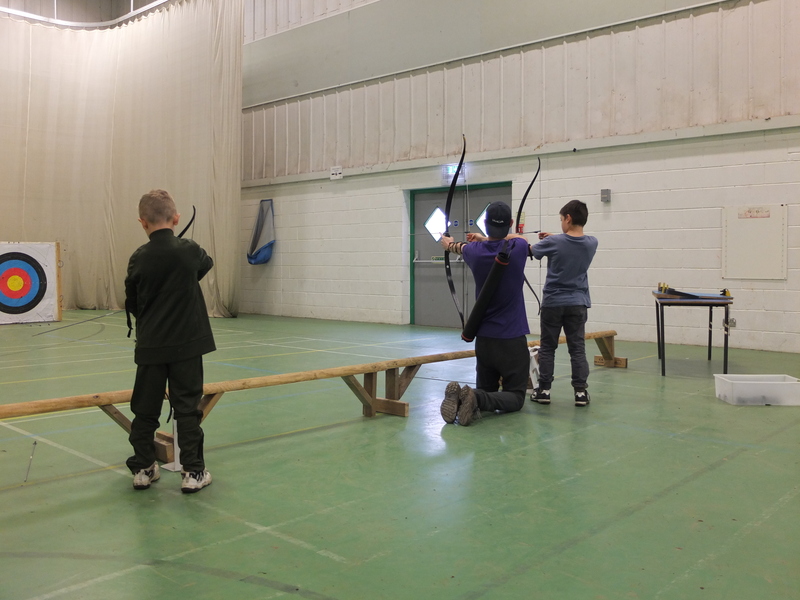 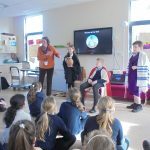 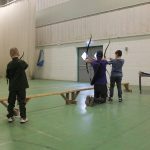 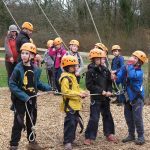 This year’s trip to Fairthorne Manor was a brilliant success and we thank you for allowing your child to experience the opportunities that Fairthorne gives. 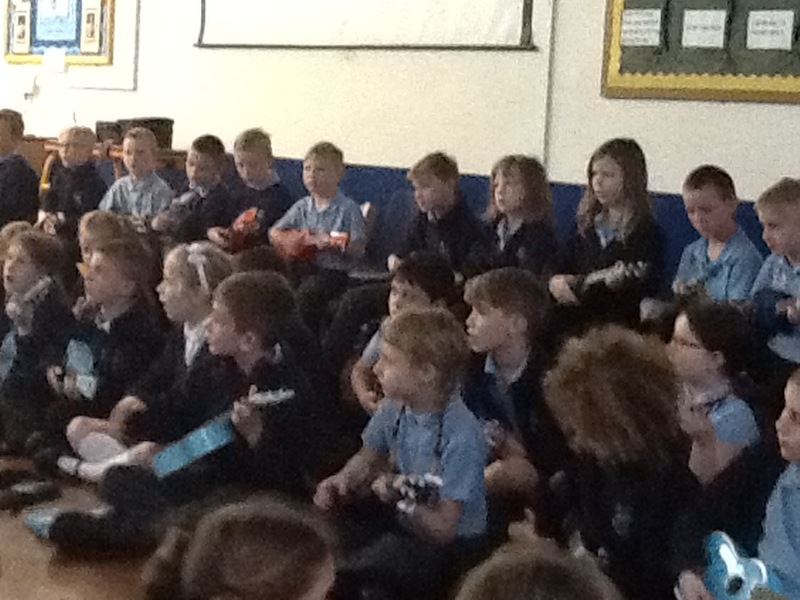 Well done to all of Year 4, we had a fantastic time!